The deadline for the Call for Proposals for the Moodlemoot Edinburgh 2014 has been extended to Friday 15th Nov 2013. The theme for the Moodlemoot is “The Student Experience”. 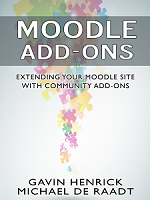 Ireland & UK Moodlemoot Updates!